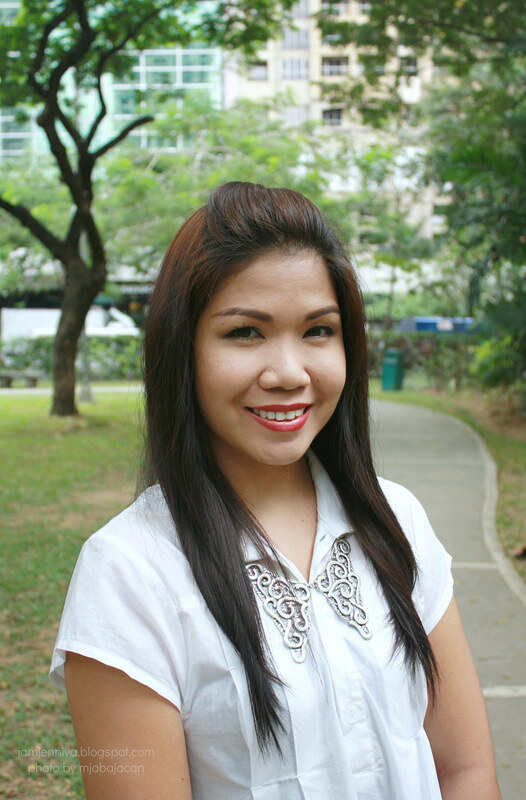 Last week, I and hubby went to Makati City to pay-off the balance of one of our possessions. Nothing feels good when you paid-off one obligation, agree? Anyway, since I expected that we will be signing a contract, I made sure I catch all the confidence that God poured on earth that day. Haha! I went for a very tidy look - an all white outfit. We can actually park our car in the building where we went to but we opted to park at Jaime Velasquez Park in Salcedo Village. It was weekday and that explains why there's only few people hanging out in the park. I saw some young couples on the benches and very few children with their cute dogs and yayas. Who wouldn't love to do an outfit shot with less distractions? Everything seemed to go accordingly with the plan; we did an outfit shot after the signing. This Chanel bag is actually a gift from my hubby last 2007. When I got home from work, I saw this bag sitting right in the middle of our bed. He said his Korean boss (but he's not working there anymore) had a garage sale and he was surprised when this bag was handed to him. His boss liked him to buy it instead at such a very low price and of course, my hubby didn't think twice and grab it. Not to mention he can pay it for anytime he wants. Just so lucky! I already met his boss though and I know they are very fond of us. Dapat nga libre na lang eh. Ayy abuso? Lol! This open-toed shoe is very comfortable I swear. Read my KEDS review here for a better details of this shoe. This collar necklace is worn at last! After buying this from a random store in St. Francis Square for over 2 months, I've finally worn it. I don't know if it's just me but most of the accessories I bought waited a while before I decide to wear them. This bracelet was a gift from my sister. I think it goes along perfectly with the rest of the outfit. White speaks simplicity. So, I keep my make-up simple, too. I did my brows, lined my upper lash line, darken my outer-V a little bit to make my eyes appear larger, loads of mascara and red lipstick. FYI, no blush-on. What do you think? Is this all-white outfit a thumbs up or down? Drop a comment. white is so fresh! a very pretty necklace!! Lovely outfit and such a lucky find of the Chanel bag! How romantic and fondly))) Great pictures as well! If the bag is real it was a very good gift! Also, white always looks classy. This outfit suits you really well, and great choice of accessories! God you look great! You have the most amazing face and I'm just in love with your hair! And that colour lipstick suits you so good! This white dress is so beautiful! Precioso vestido, bonito collar, y elegante bolso! your dress is great! love it. hi :) thank u for your visite on my blog ! Gorgeous bag and white outfit for the afternoon! Love your Chanel bag sooo much! It's absolutly awesome! Muchas gracias por comentarme!!! !Claro que tambien te sigo!!! Love your bag and the purity of this outfit! gorgeous in white my dear! Thanks dear for dropping by my blog and for being the first one who commented! you look very posh, am loving your look from head to toe. i am your new follower, i hope you will follow me back. You look really lovely! I like the dress and the bag! Cute outfit! I love that necklace and also your handbag! This is an ideal outfit for the sunny day, I like it a lot! Love the simplicity of the outfit - the dress looks great on you! I loveeee your Chanel bag ^_^ gorgeous! hey doll! thx for ur comment! love the pretty outfit n the necklace!! You look Great i love your necklace!! Visit http://www.urbanfashionstylee.blogspot.mx and check my new post!! Hey girl, great post. :* Love it.. Your blog is really nice. :* Love your bag! I am your new reader - follower, I hope you follow back! :) Have a nice day, your Elizabeth! That collar necklace is everything! 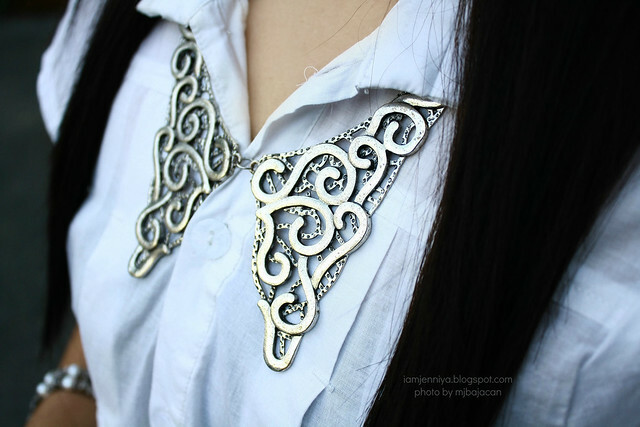 and the collar is absolutely beautiful! also i have a question for you...how did you get the extra ads on your site? i love this!! congrats on your exciting news :p i love the all white on you you look so fresh and springy and gorgeous!! hi, I love your blog!! awesome dress! Would you like to follow each other via GFC and Bloglovin or more? You look so pretty!!! I love your dress! You'll never get wrong when you wear white. But me as a messy woman, who can wear white and not spill on it. lol. Following you now dear! Hi! Thank you so much for the comment! YES OFCOURSE WE CAN FOLLOW EACH OTHER! Came by via the blog hop and now follow you on GFC and bloglovin, hope you can come follow back too. 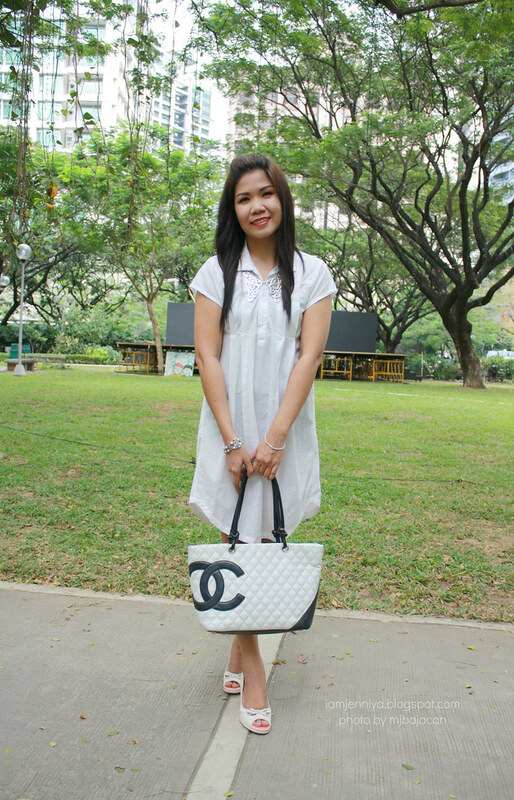 BTW you look beautiful in that gorgeous white dress, adn love the bag! Such a great post, you look fantastic! :) I adore that bag!!! Very beautiful outfit ;)) I love your style! adorable, I always love a little white dress! You look so adorable..love love ur white dress..
love your blog babe, do you mind following each other? let me know! I love the dress, the bag, the necklace, bracelet and the shoes!!!! !